This board incorporates both Arduino Uno R3 and 20A motor driver into a single all in one control board. It is versatile and expandable platform for robotics. 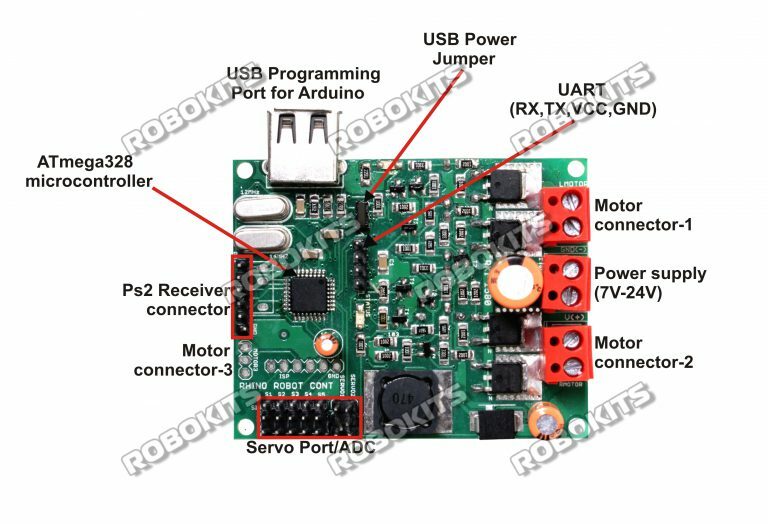 Due to its expansion capabilities the board can be used to control all robots starting from beginners robot to advanced robots with multiple functionality such as Psx or IR controlled robot. It can control up to 20Amp of current on each channel. It can drive 2 robot driving motors (Connect two motors in parallel for 4 wheeled robot) in skid steer control with analog speed control.